In this article I’m going to show you how to watch Bundesliga in the UK and elsewhere for free. The Bundesliga is the premium German football league and both quality teams and players make up the Bundesliga. If you’re in the UK or other countries it’s often not possible to watch Bundesliga on TV and even when it is it’s often a few games on expensive pay for cable TV. 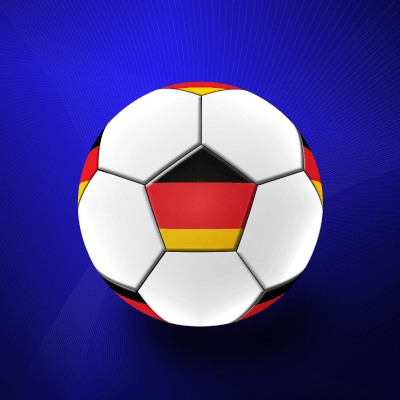 So if you’re a German expat living in the UK or elsewhere or you just have a passion for German football and want to watch the Bundesliga then keep reading as I’m going to show you an extremely easy way to watch all games and it doesn’t involve any dodgy websites or going anywhere that will fill your computer full of viruses. If you’re a Bayern Muenchen, Borussia Dortmund, FC Schalke or any other team fan, keep reading to find out more. The Bundesliga is shown on an Indian web TV station called StarSports. Unfortunately StarSports is restricted to viewing within India and if you try to access outside India you’ll see a block message like the one below. The great news is there is a way around the block. A product called a VPN exists that allows you to alter the location your internet connection reports itself in. When you connect to the internet you’re assigned something called an IP Address that tells websites what country you’re in. When you get a VPN it allows you to get an Indian IP Address so when StarSports checks to see what country you’re in it sees you’re in India even though in reality you’re in the UK or elsewhere in the world. The good news is VPN products are completely legal and are a legitimate tool to protect your online privacy. You’re probably thinking that using a VPN will be complicated but again good news, a VPN takes nothing more than 1 or 2 clicks to use and then you’re free to watch as much Bundesliga as you wish. Keep reading below and I’ll show you the best place to get a VPN and how to use it. The good news is StarSports is completely free which means you won’t need to pay anything to access StarSports. VPN services are sold by thousands of different companies now and cost between around £3-£6 per month which is about US$5-10. You can save even more money by signing up for a longer period of time so it’s worth checking out the longer deals if you’re going to watch the whole Bundesliga season. Streaming video from StarSports in India requires fast speeds and an “Indian Server” so I’ve put together a list of three of the best providers that are suitable. I personally use IPVanish to watch StarSports because they’re the fastest and cheapest but feel free to sign up to any of the providers below. Once you’ve signed up read below for instructions on what to do next. Once you’ve signed up you need to download the software from the VPN provider for either PC or Mac. I’m going to show you the process using IPVanish but both Overplay and ExpressVPN have the same process only their software will look different. Firstly download the VPN software from the IPVanish website under VPN Software. Install it and then continue reading below. Click Server Selection on the left side of the window. In the Search Box type India. Select the top server or the one with the lowest MS numbers. The IPVanish software or whatever provider you’re using will make connection to India. Once it has connected you now appear as if you are in India. Now visit the StarSports website click Football and then press Bundesliga. You’re now able to watch all games whenever you want. Enjoy watching the Bundesliga in the UK and elsewhere around the world! Does ExpressVPN have a Kill Switch: Answered!